Amazing what changes in 10 days. Below is Paul Ryan tearing into Trump for his comments that there were good and bad people on both sides at Charlottesville. Then ten days later Pelosi acknowledges that antifa is committing violent acts in Berkeley. Ryan seems to be avoiding the issue. Since he’s a media whore that’s unusual. They have their cadre of Republicans they go to for anti-Trump quotes: Lindsay Graham, John McCain, Jeff Flake, and Ryan. Ryan piles on the man 62 million of us voted for to be our president. Wrong, as always, he is piling on all of us. His last election garnered 200,000 votes. What right does he have for attacking our chosen president? Why is he still Speaker of the House? He’s billed as a policy wonk, a number cruncher. A choir boy who always looks so innocent when extolling his criticism. In the private world people with these talents are now called analysts. In older times clerks. Not a lot of responsibility but people who real leaders go to for the data crunching leaders use to make informed decisions. Paid accordingly. It’s time to demand he be replaced. This is evidence enough. McCain has crossed the line and sadly his health will limit his service. Flake is losing his primary, Who knows about Graham? But, all 62 million of us can impact Ryan’s tenure as Speaker. Naturally, Ryan sounded off about the Sheriff Joe pardon as well. He’s a bean counter who sees himself as president. Here’s his modus operandi. Send an e-mail to info@gop.com or call at 202-863-8500 and advise them there will be no contributions to anyone on their ticket except Trump until Ryan is replaced. It’s time. If you are stupid enough to spit in the face of all 62 million of us who voted for and support Trump, you are not competent to be our Speaker of the House. “It was equivocating and that was wrong,” Ryan said of the president’s widely panned remarks suggesting equivalence between white supremacists and those protesting against them. At the same time, Ryan sharply pushed back against the suggestion that Trump should be censured for his comments. “It is very, very important that we not make this a partisan food fight. It is very important that we unify in condemning this kind of … hatred. 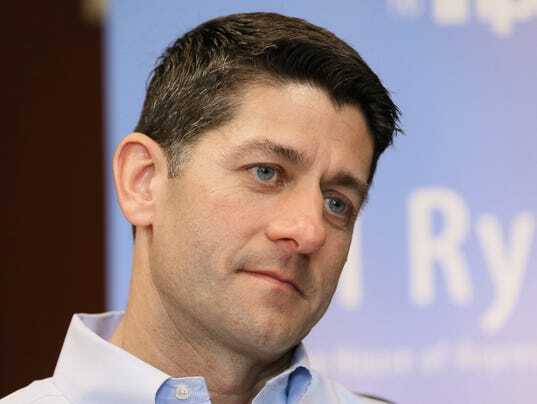 To make this us against them, Republicans against Democrats, pro-Trump (vs.) anti-Trump, that is a big mistake for our country, and that will demean the value of this very important issue,” said Ryan in response to a question about censure from Rabbi Dena Feingold, sister of former Democratic Senator Russ Feingold, who grew up in Ryan’s hometown of Janesville. (Feingold’s parents were friends with Ryan’s parents). Ryan praised Trump’s initial response to Charlottesville last Monday and his comments against bigotry earlier in the evening during the president’s speech on Afghanistan strategy. House Minority Leader Nancy Pelosi, D-Calif., says the “violent” members of Antifa — those members of the anti-fascist group who allegedly attacked conservative demonstrators over the weekend in Berkeley, Calif. — should be arrested and prosecuted. If you run to a CNN camera to trash your party leader once a week you need to find another line of work. I was getting ready to write another one today before I came to No Smoke Blown – I will let the GOP know too. Good man Jim. He got in front of the cameras over the Dreamer Act. Trashed Trump again. New CBS poll shows Ryan tied with Pelosi @ 9% favorable.